The skills challenge consists of a 4 mile course set around Sweet Lamb, consisting of 9 skills areas and 12 separate skills tests within each area. 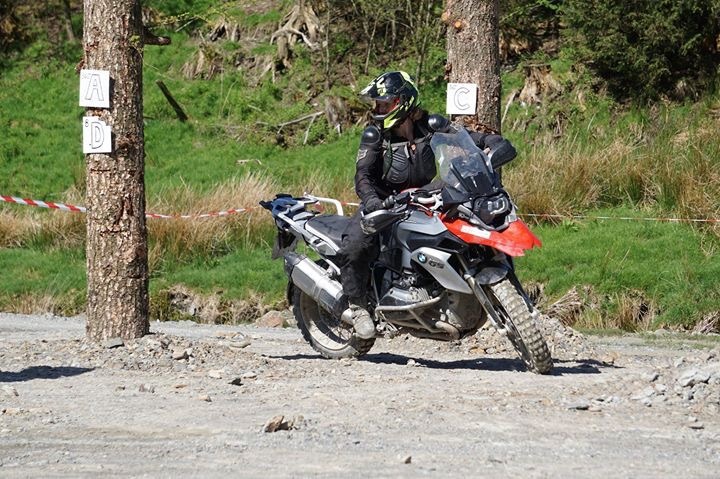 You will be allowed 1 ½ hours to ride the course and WALK the test, you will not be permitted to ride the test at this stage. Start from Parc’ferme at intervals to do each test. Marshals will mark like a trial: 1 Dab = 1 point. Refusal/Stop = 10 points. Each test will be marked SK1 to SK12. The route will be marked with arrows after every test, you will follow the arrows to the next skill challenge incorporating the trails and scenery of Sweet Lamb. Then lap 2 will be the same format but in reverse (where possible)! Where two arrows are side by side you MUST pass between them. In event of a tie, then a section of Widow Maker and the Gravity Cavity will be used to determine the winner. Entries will be £85.00 including complimentary tea and coffee. Bunkhouse Accommodation, BBQ Saturday night and breakfast Sunday morning £35.00. Breakfast Sunday morning for non-bunkhouse lodgers or campers £5.00.